Modernizing My Mom and Her Bathroom. The 1960’s was generally an unfortunate time for houses. Mad Men aside, I cannot quite bring myself to embrace this era. Something was lost in the necessary transition from houses only for the wealthy, to houses for the rising middle class, and now available for the masses. Even the earlier era catalog houses from Sears, modest in scale, still had some charm. The Blue Bathroom in my own mother’s house, before. There is no need to dwell on this photo. You can see the horror for yourself. 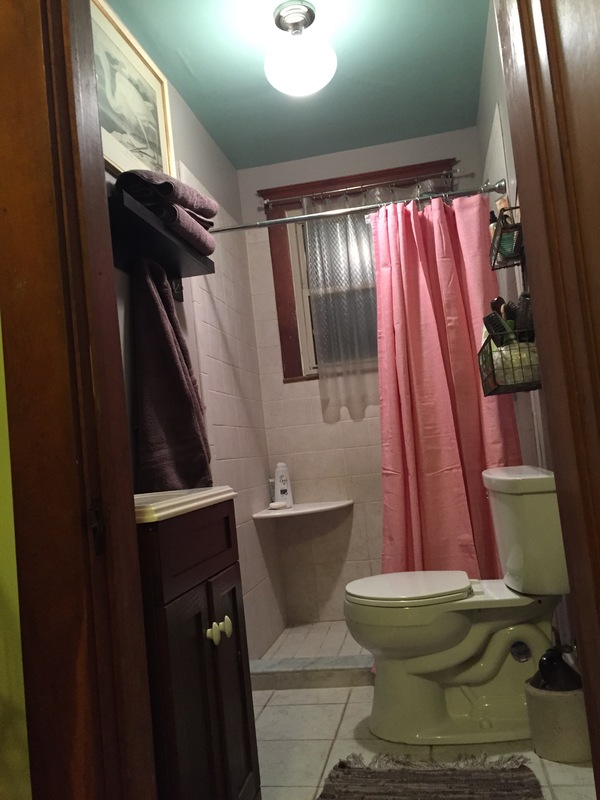 The bathrooms in these homes are not only cramped, but come in any color of the rainbow. 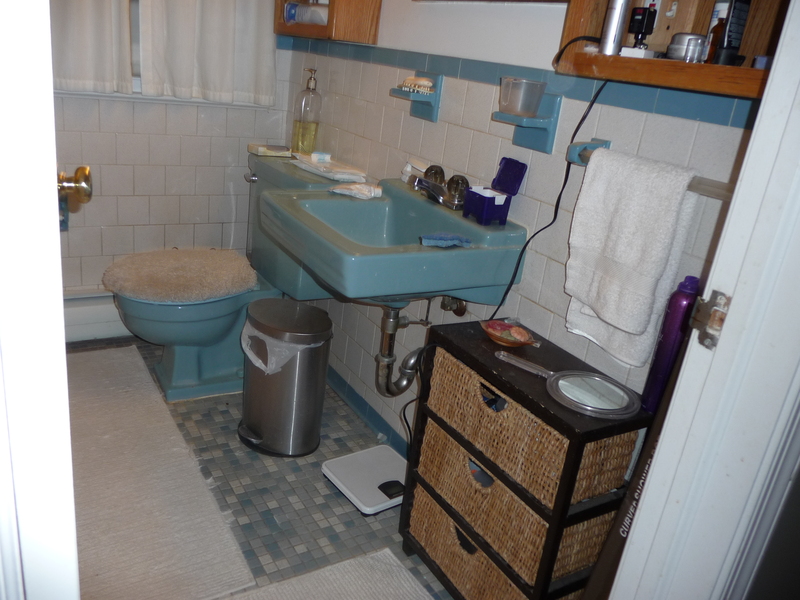 I wish I could figure out what the goal for bathrooms of this era was: “Hooray! 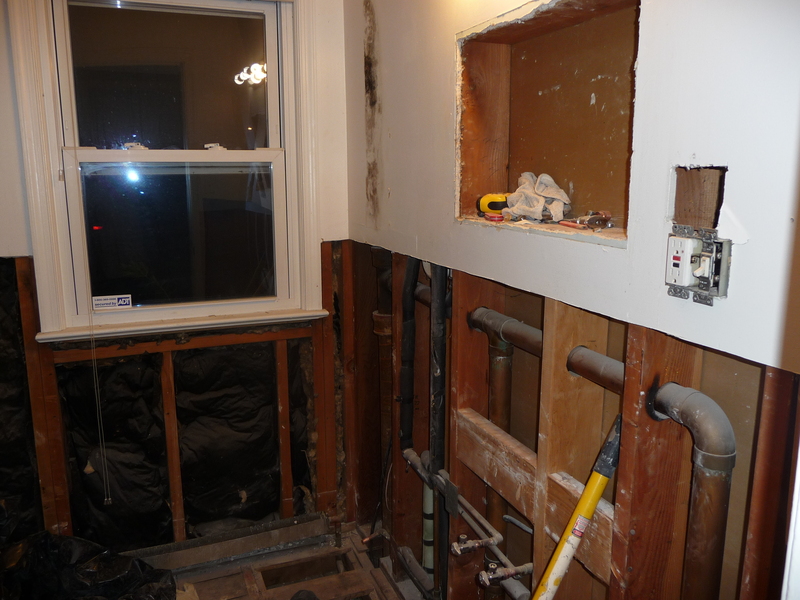 We have indoor plumbing! Let’s make it pink!”or “blue!” or “avocado!” Or maybe the thinking was: “Have no fear! 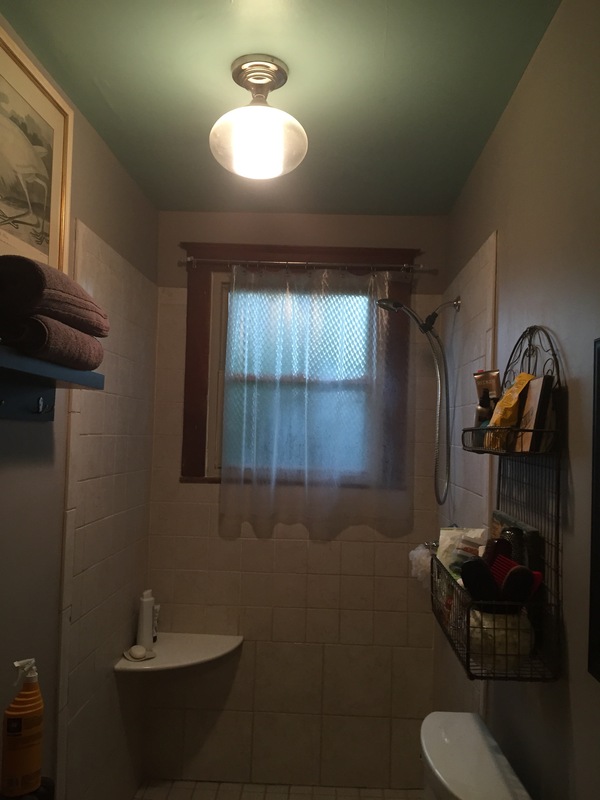 Your guests will be blinded by the brightest, shiniest tile and not see a single spec of dirt or stray hair!” In any case, this one bathroom in particular had to go. There was no band-aid solution and it needed to be gutted. The End. 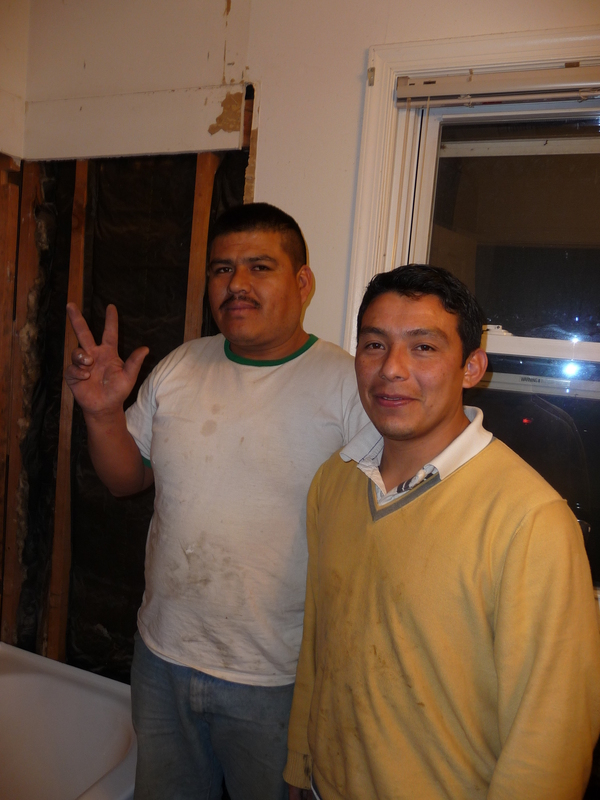 The bathroom team, Oscar and Douglas (from left to right). 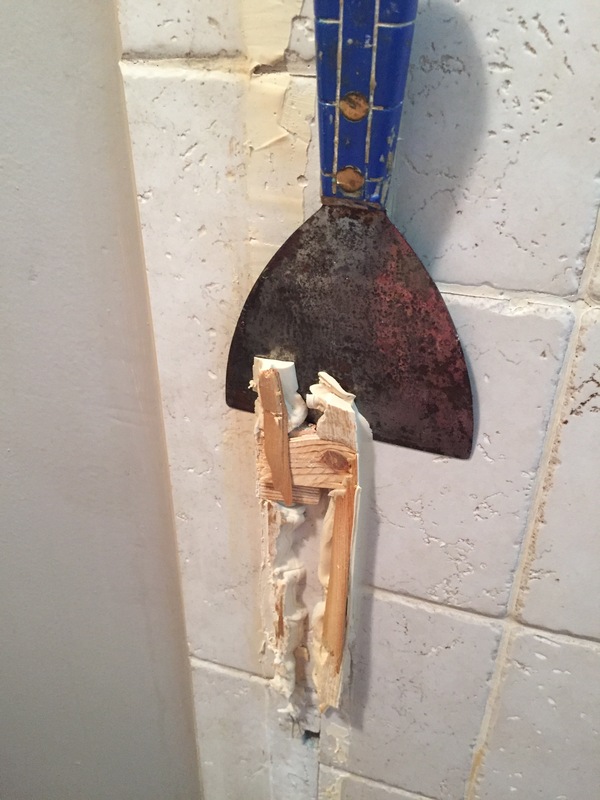 The contractor, Douglas Barreras, was ruthless in this renovation. He took no prisoners. The craftsmanship and care were evident throughout the whole process. As with any old house, there were a few unexpected glitches, and yet they finished on time and on budget. This is a rare combination in the world of renovation and I am carefully storing away his information for future use, or for anyone who sends me an e-mail asking for his contact information. 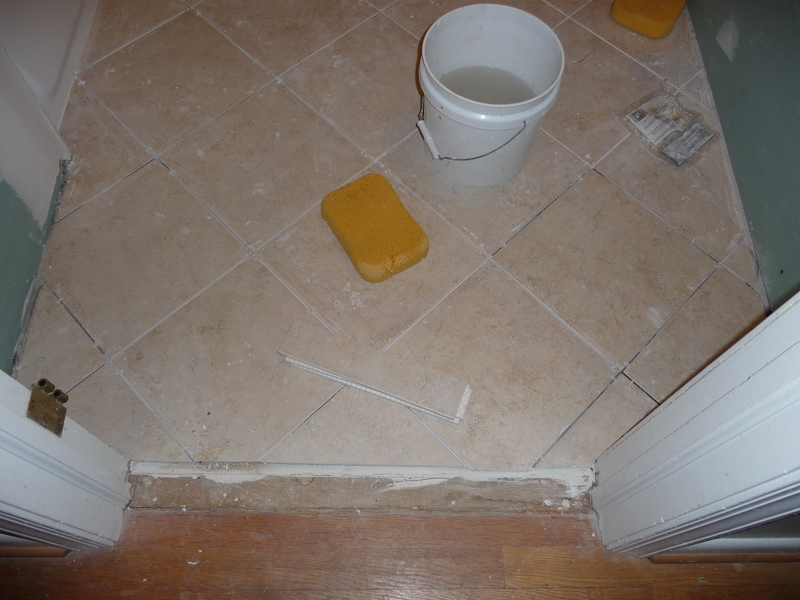 Tile set on the diagonal. 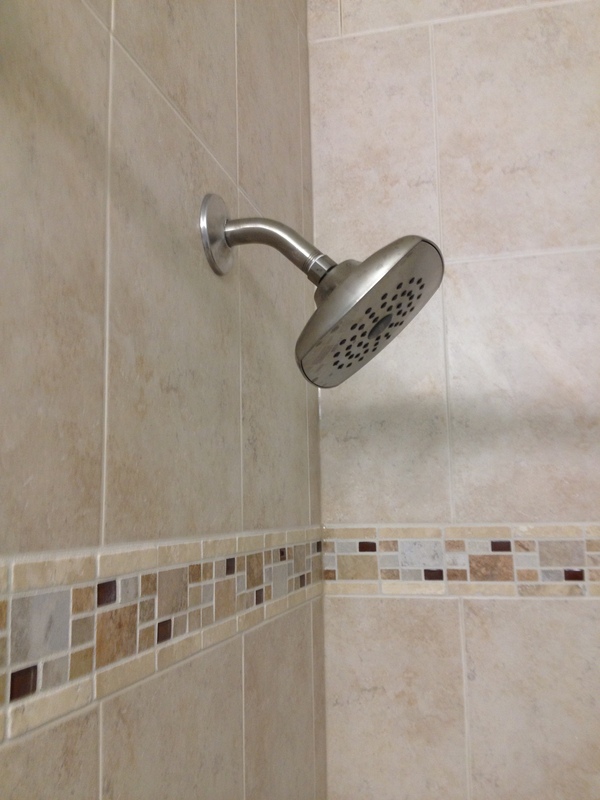 Setting the tile on the diagonal will trick the eye into thinking the space is larger than it actually is. 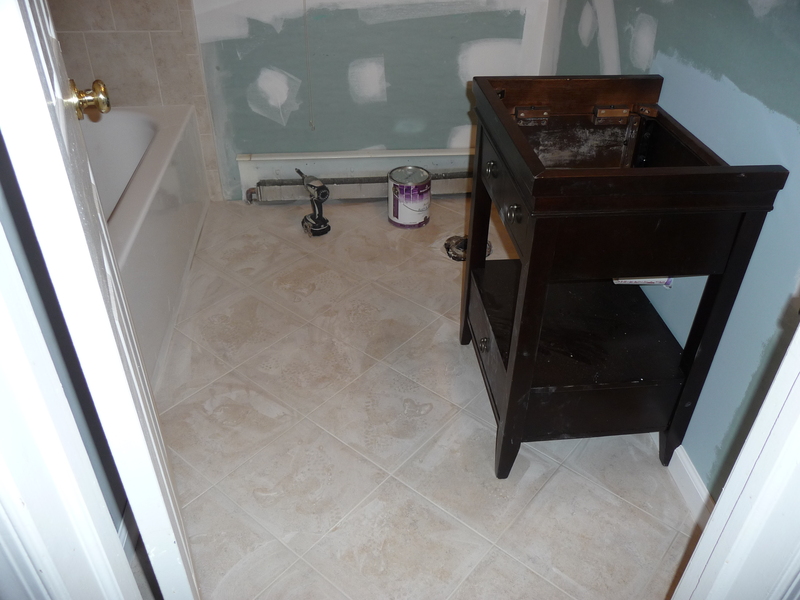 Greenboard on the walls, a new vanity and grout. 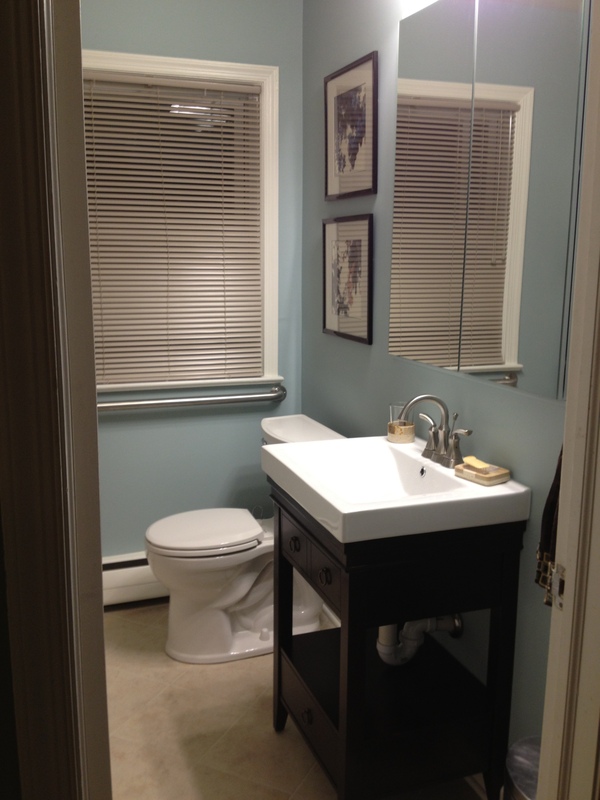 An open vanity adds a little storage, but helps the bathroom feel spacious. 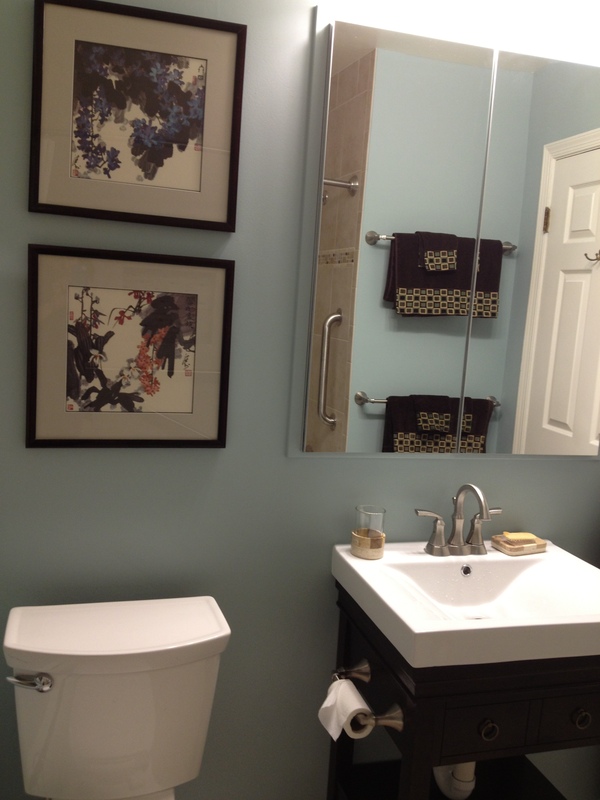 The paint color is Benjamin Moore’s Wedgewood Gray. 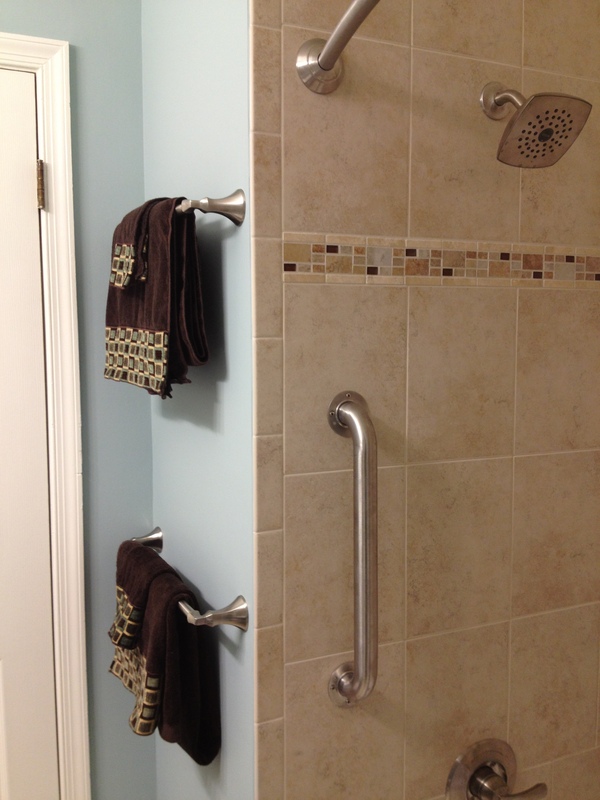 The towel bars are hanging on a wall that was cut back about six inches to create space for towels. This space is taken from the adjacent linen closet that opens into the hallway. 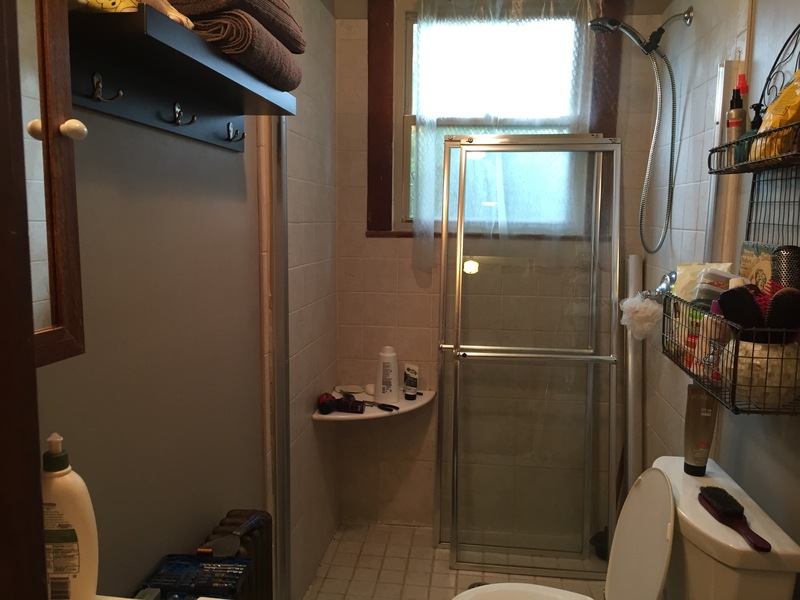 The added room allows the door to open all the way and helps the bathroom feel much bigger. 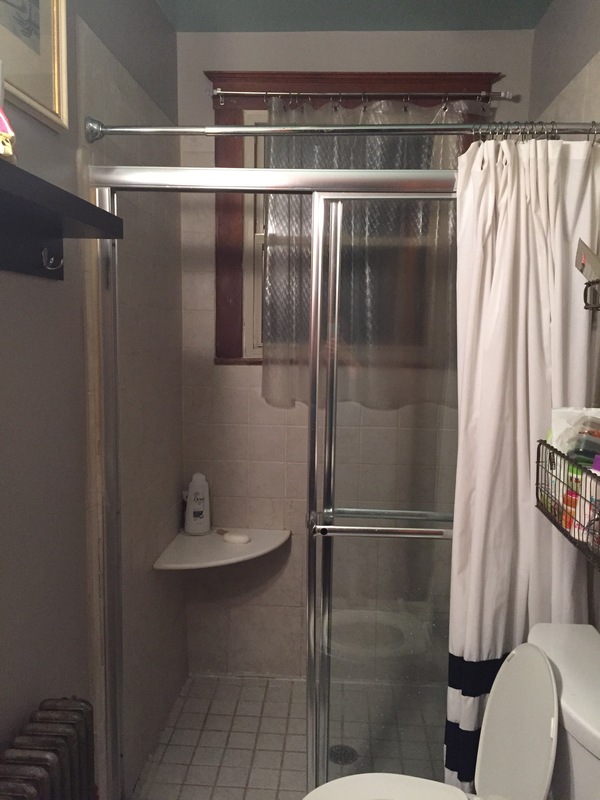 It took my dear mom about fifteen years, prodding by her dearest friend, suggestions of adding rooms and porches and other made-up renovations until this little bathroom project did not seem so bad after all, for her to take the plunge. Now lets hope it is not another fifteen years before she decides to tackle the pink bathroom right under it.